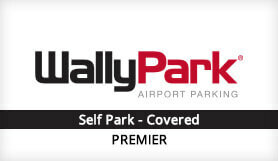 Relax and let WallyPark handle your parking at Atlanta Airport. They give you the freedom to choose exactly where and when you want to park as they’re open all day, every day. You can park anywhere in their covered carparks and then simply walk away with your keys and luggage. WallyPark also own a fleet of shuttles to take you to the airport in just 4 minutes, at any time of day. You can also expect top-class service including a free bottle of water and a newspaper with every parking space. If you’d like to return to a bright and shiny vehicle, book a car wash service directly through WallyPark. Shuttle service from your car door to your airline terminal. Hand car wash, detailing service & luggage assistance. Please Note: New Address for Car Park in directions as from 24th Jan 19.